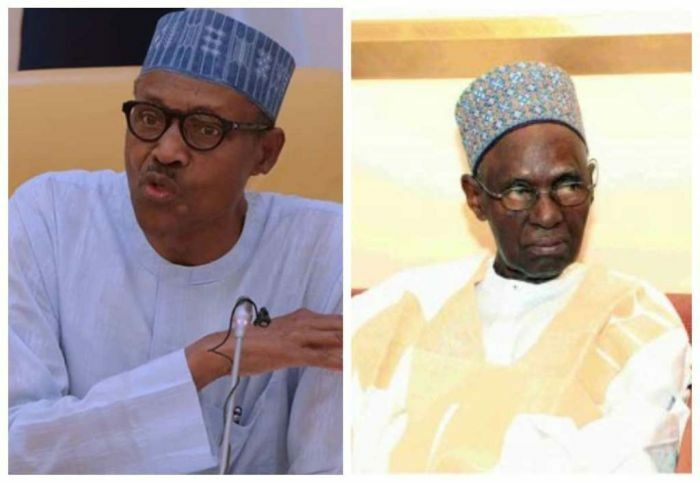 The eldest son of late President Shehu Shagari, Alhaji Bala Shagari, has expressed appreciation to President Muhammadu Buhari over his condolence visit to the family in Sokoto State, even as he noted that his father told them that he had pardoned everybody before his death. The eldest son said yesterday, in Sokoto, Sokoto State, that the family was happy with the visit and Buhari’s pledge to immortalize the late president. Bala, who is the District Head of Shagari town in Sokoto, however, said he would not comment on Buhari’s pledge until it was fulfilled. Late Shagari, aged 93, died on December 28 at the National Hospital, Abuja and was buried on Saturday at Shagari, his home town. Shagari was President of Nigeria from 1979 to 1983. He was dethroned by a coup d’etat that brought in Buhari to power as military Head of State, three months after he (Shagari) was sworn in for a second term. He said the late president did not leave any will beside the directive that he should be buried at his home town, Shagari. According to Bala, the directive was strictly observed and implemented as his remains were buried at Shagari town, on Saturday. He acknowledged that the Sultan had offered that the late president should be buried at Hubbare, where Shehu Usman Dan Fodio was laid to rest. “We acknowledged it but late Shagari had told us that he should be buried in Shagari town and even indicated a specific location, so we have to comply with his will,” he added. He explained that the late president’s absence at functions was due to his ill-health, saying that was the reason he stayed in Sokoto and Shagari town before he died. Earlier, President Buhari condoled with the wives and children of late Shagari at the deceased’s residence on Sama Road in Sokoto. During the visit, Prof. Shehu Galadanci led the prayers for late Shagari.